London: Printed by W Bulmer and Co.
Born in Lanarkshire, physician Matthew Baillie (1761-1823) was a nephew of John and William Hunter. John was one of his teachers, and he inherited William’s home and medical school in London. His patients included Lord Byron and Walter Scott, and he eventually became Physician in Ordinary to George III. Matthew is best known for his work on ‘morbid anatomy’, the study of diseased tissues and organs. 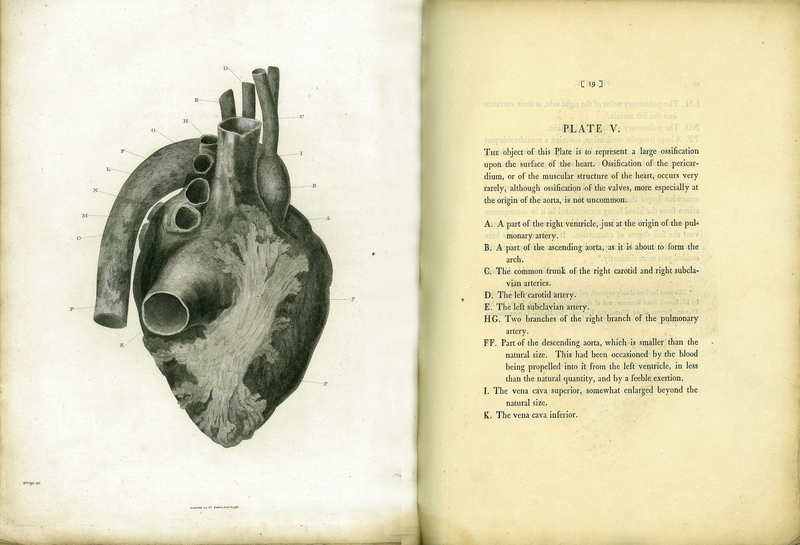 Matthew Baillie, “A Series of Engravings, Accompanied with Explanations, which are Intended to Illustrate the Morbid Anatomy of some of the Most Important Parts of the Human Body; Divided into Ten Fasciculi,” ourheritage.ac.nz | OUR Heritage, accessed April 26, 2019, http://ourheritage.ac.nz/items/show/10161.